With the ever growing access of numerical weather models to the general public, miss-use is becoming an increasing problem. Many of these publications are from non-reputable weather facebook pages or other social media platforms. 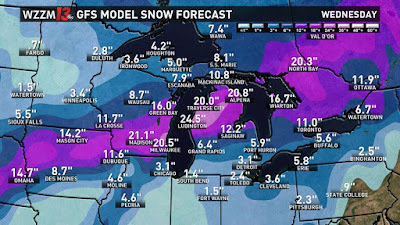 However, within the past couple years local TV stations have been posting such "forecasts" as well. 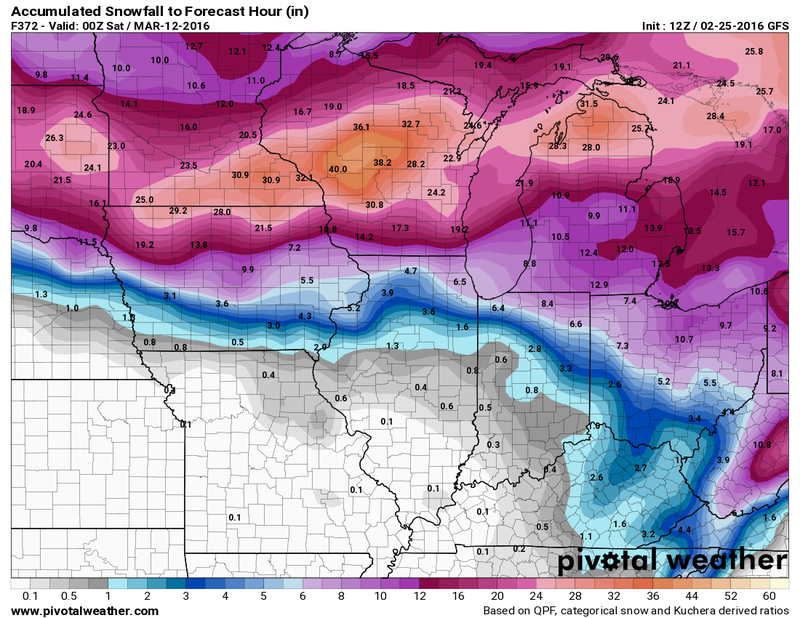 Their weather graphics service is now granted the ability to publish raw model data such as a snow forecast, and this is a problem. See, even with a brief precursor embedded in the post suggesting "it's only one model," facebook users don't always care. They either do not read the size 12 font in the upper right hand corner, or more simply are not familiar with what a weather model is used for. We seem to be shifting into a culture of weather forecasting where each model is a different “forecast” instead of each meteorologist sifting through the data/weather models and creating their own forecast. It takes experience and an understanding of the atmosphere to properly vet each model, and the public is unaware of this. Regarding recent “viral” snow forecasts, some of which I have embedded in this article, these maps are just unfair to the innocent public. They play to the strong feelings people have about snow. The divide between “snow lovers” and “snow haters” is strong and is an outspoken attitude on social media. It’s is so easy for someone to share a similar map with excitement or with anguish. These maps play to the human nature of a simple numerical value being useful. Seeing a 24” number over your city is cause for alarm, and it should be, but this is not how meteorology works. 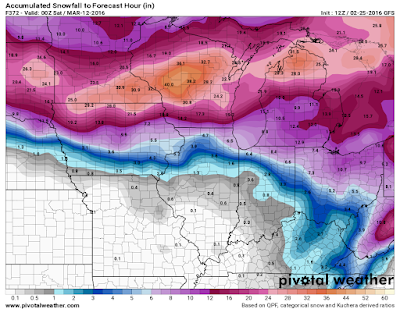 Telling the future is difficult and impossible; there isn’t one map that can capture how much snow will pile up on your doorstep, contrary to popular belief. We need to be conscience on what we share and how we publish posts about weather. While there is not a true way to fix this issue, I hope people become more responsible and knowledgeable on what/when they share and learn these forecasts will never come to fruition. The hope for the meteorology community it to leap over this hurdle/dent these model forecasts have had on the social sciences aspect of forecasting and the public becomes more appreciable to the success of numerical weather prediction. 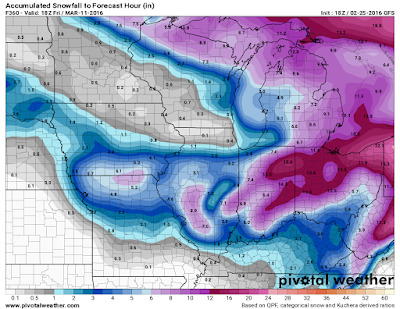 Now, since there is a threat of an early week winter storm somewhere across the Midwest let’s talk about it. A relativity deep trough is expected to dig into the eastern half of the country by Monday and Tuesday, aiding in the development of a surface area of low pressure. The exact track and location of accumulating snow is still in question as the system is well out in the data sparse Pacific Ocean. We will have details when the storm gets closer and provide more plausible forecasts on accumulation snow and severe weather further south.